Hey there, everyone! Long time no post...so sorry for that! I really needed a creative week off, and in place I did a lot of cleaning around the house, etc. It was a good week for me, and I am feeling much more inspired and invigorated to create again! 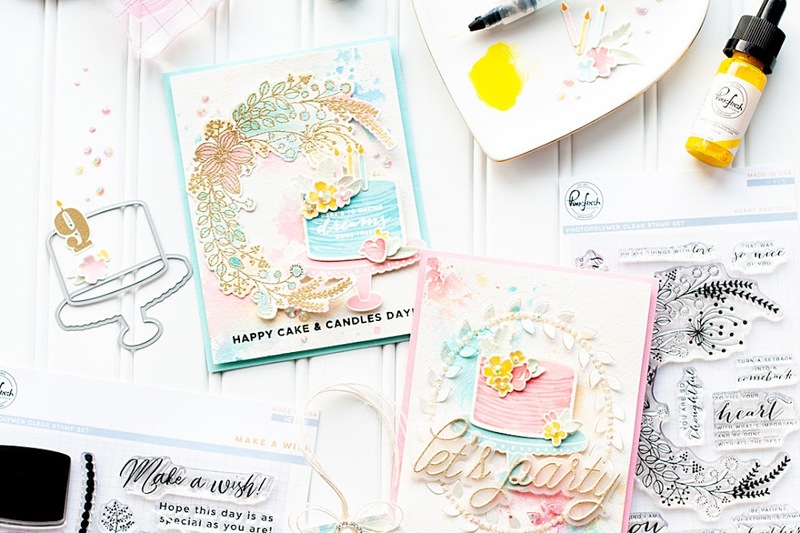 Today is the February Key Ingredients Blog Hop, and our theme for this month is "Take Note". I took the theme quite literally, and covered this little notepad that I keep in the kitchen to take notes of from phone calls, or write out our grocery list. The colors in this kit are perfect for a little pad that you leave in the kitchen...they even FEEL like they were meant for that room! Tee hee! Here is what I created! Instructions: Layer two pieces of paper together to create cover for the front, then zig zag stitch along the edges. Tie ribbon around the seam, then add a flower to the center of the bow. 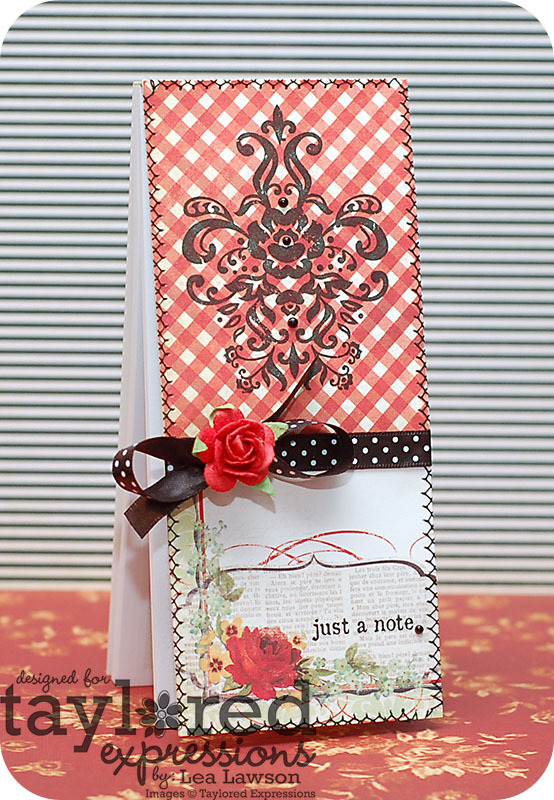 Stamp the damask to the top half, and the sentiment to the bottom half. 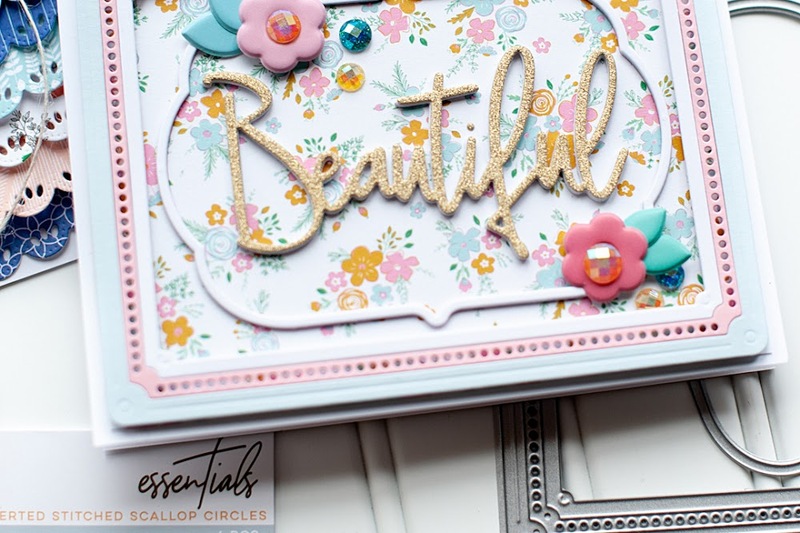 Accent with pearls, then adhere to the front of the notepad using permanent adhesive. There you have it...quick and easy, and now you have a pretty little notepad!! If you aren't a subscriber to the Key Ingredients kit yet, here are some perks!! º Store Discount. Subscribers will be given a special discount code to save 10% on any order placed between the 10th - 13th of the month to be combined with your subscription shipment. Subscribers in the US may combine your additional items with your KI Subscription shipment for no additional shipping fee. Subscribers outside the US will pay additional shipping costs to combine your additional items with your KI Subscription shipment. You'll receive a reminder e-mail on the 10th of each month which will also include a list of other products that will coordinate with the kit being shipped to you that month. This list is incredibly helpful for those who want to stretch the use of a KI with even more supplies! º Design Team Inspiration. 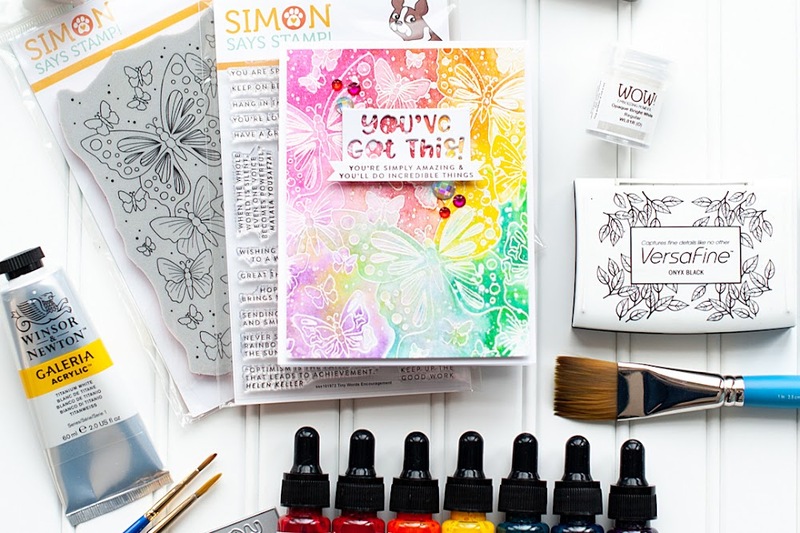 We'll debut the Key Ingredients kit on the 10th of each month followed by 5 days of inspiring projects posted by the Key Ingredients team right here on the Key Ingredients Blog. Of course, don't forget to check out the gallery where the design team is constantly adding new projects! º Storage. Subscriber kits will come in a Storage Solutions Plastic Case. This $3.25 value is a special benefit that is FREE to Subscribers. If you want to subscribe, just CLICK HERE!! And don't forget to check out what the rest of the Key Ingredients designers have in store for you today!! Wow Lea, what a beautiful card!!! Just so gorgeous and beautifully photographed as well. A super cute notepad, Lea! Love the black stitching and the black accents really compliment it. Very sweet!